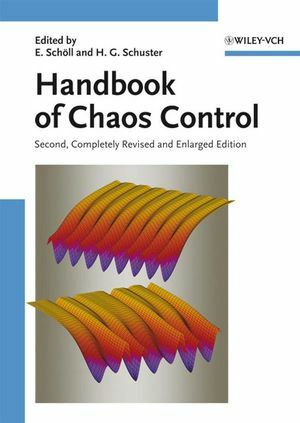 This long-awaited revised second edition of the standard reference on the subject has been considerably expanded to include such recent developments as novel control schemes, control of chaotic space-time patterns, control of noisy nonlinear systems, and communication with chaos, as well as promising new directions in research. The contributions from leading international scientists active in the field provide a comprehensive overview of our current level of knowledge on chaos control and its applications in physics, chemistry, biology, medicine, and engineering. In addition, they show the overlap with the traditional field of control theory in the engineering community. An interdisciplinary approach of interest to scientists and engineers working in a number of areas. Heinz Georg Schuster is Professor of Theoretical Physics at the University of Kiel in Germany. In 1971 he received his doctorate and in 1976 he was appointed Professor at the University of Frankfurt/Main in Germany. He was a visiting professor at the Weizmann-Institute of Science in Israel and at the California Institute of Technology in Pasadena, USA. 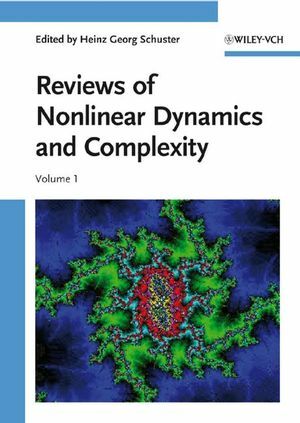 Professor Schuster works on the dynamical behaviour of complex adaptive systems and authored and coauthored several books in this field. His book "Deterministic Chaos" which was also published at Wiley-VCH, has been translated into five languages. Eckehard Schöll received his M.Sc. in physics from the University of Tuebingen, Germany, and his Ph.D. degree in applied mathematics from the University of Southampton, England. In 1989 he was appointed to a professorship in theoretical physics at the Technical University of Berlin, where he still teaches. His research interests are nonlinear dynamic systems, including nonlinear spatio-temporal dynamics, chaos, pattern formation, noise, and control. He authored and coauthored several books in his field. Professor Schöll was awarded the "Champion in teaching" prize by the Technical University of Berlin in 1997 and a Visiting Professorship by the London Mathematical Society in 2004.